At the heart of upcoming vote on borrowing: Electricity. About one thousand voters in Millersburg are about to get a say — indirectly, and in a preliminary way — on the idea of their town taking over the electric power system within the city limits. Linn County Clerk Steve Druckenmiller says 1,013 Millersburg voters are eligible to receive ballots in a forthcoming election on a proposed city charter amendment. Six ballots were mailed last month to military and long-term absentee voters. Another five were mailed to other out-of-state absentee voters on Feb. 9. The remaining 1,002 ballots will go in the mail on Feb. 18. The last day to return any of them is March 10. 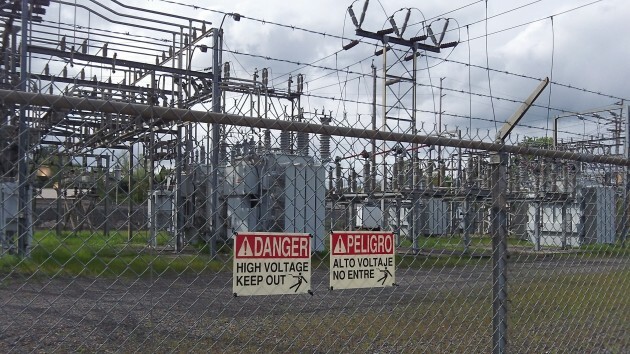 At issue is a ballot proposal initiated by opponents of the idea of forming a municipal electric utility and taking over the electrical distribution system in the town from Pacific Power. Pacific has fought the idea, which is being considered by the city council at the behest of ATI Wah Chang, the town’s biggest employer and electrical customer. The ballot issue does not mention the electric issue directly. Instead, it would require voter approval of any city action to borrow more than $250,000. The backers of the measure expect that the city would have to borrow millions of dollars — in the form of revenue bonds — in order to carry out the utility takeover, and the new charter provision thus would prevent the takeover without the consent of a majority of voters. Well, this should be an interesting election. I’m not a Millersberg citizen, just an interested Albany spectator. As one of the 1013 voters in Millersburg, I can’t see a downside to voting in the affirmative for this ballot issue. Whether pro or con the change in electrical provision, voter input for any substantial spending is a good idea, given our system of government. I’d be glad to read about any difference of opinion.